Fitment formula will be 2.57. So using present basic pay, 7th CPC pay can be calculated by multiplying the same with 2.57 factor. In a bonanza for central government employees, the Seventh Pay Commission on Thursday submitted its final report to Finance Minister Arun Jaitley recommending a 22-23 percent jump in their salary and allowances. The Pay Commission headed by Justice A K Mathur has suggested a 15 percent increase over the basic salary plus DA for the central government staff. An increase in allowances like HRA has also been recommended. The total increase will be 23.55 percent of the gross salary (basic plus DA plus allowances). The pay commission has also proposed a status quo on the retirement age of central government employees. Retirement age for central government employees is 60 years now. The central government constitutes the pay commission every 10 years to revise the pay scale of its employees and often these are adopted by states after some modifications. The Commission was set up by the UPA government in February 2014 to revise remuneration of about 48 lakh central government employees and 55 lakh pensioners. The Union Cabinet had extended the term of the panel in August by four months, till December. 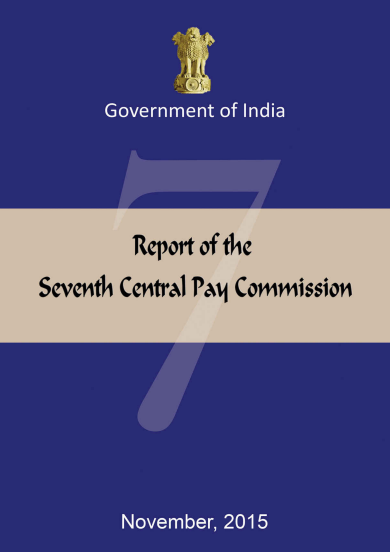 The 6th Pay Commission was implemented with effect from January 1, 2006.